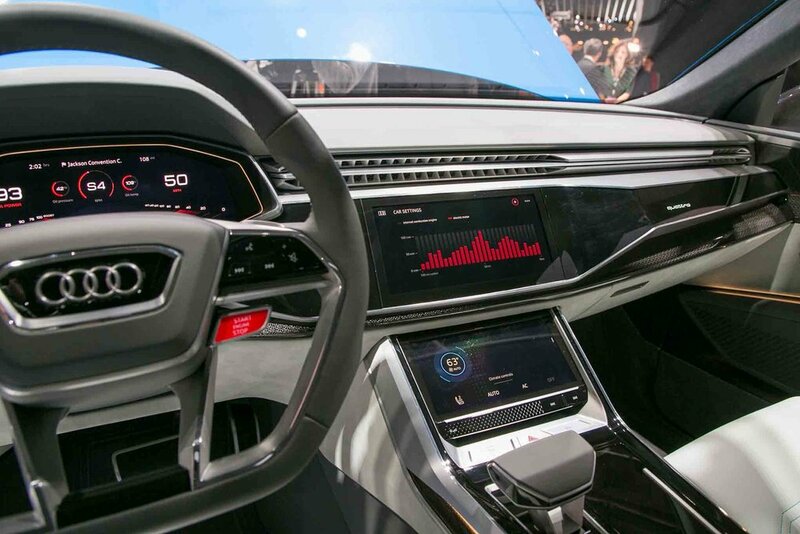 The concept is powered by a plug-in hybrid powertrain. The engine is a 3.0L V6 with a 17.9-kWh lithium-ion battery and a 8 speed automatic transmission. 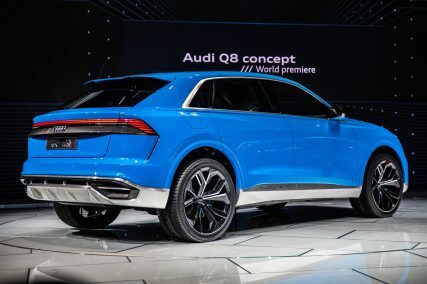 Similar to the BMW and Mercedes-Benz model, the Q8 will be a 2 row, 4 seat vehicle with ample space for all passengers.